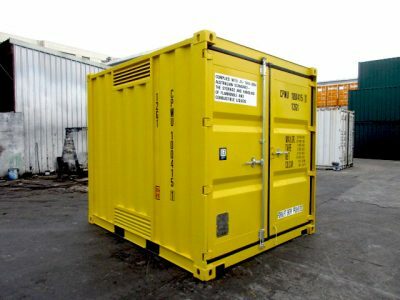 Our used high cube 10 ft sea containers are durable, reliable and cost-effective units that provide some extra space in height. At 9.5 feet (approximately 3 metres), these shipping containers are ideal for transporting and storing taller goods that cannot be held in standard height containers. High cube sea containers are built strong, vermin-proof, weather-resistant, dry and secure. Made with tough corten steel, these shipping containers are sure to last for years.